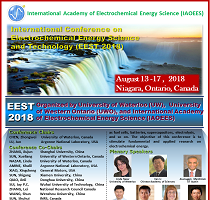 The International Conference on Electrochemical Energy Science and Technology (EEST2018) is the third conference organized by the International Academy of Electrochemical Energy Science (IAOEES). 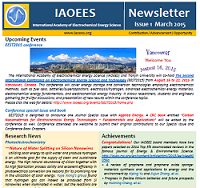 The meeting consists of plenary talks, invited keynote speeches and poster presentations focusing on electrochemical energy research, development and applications. 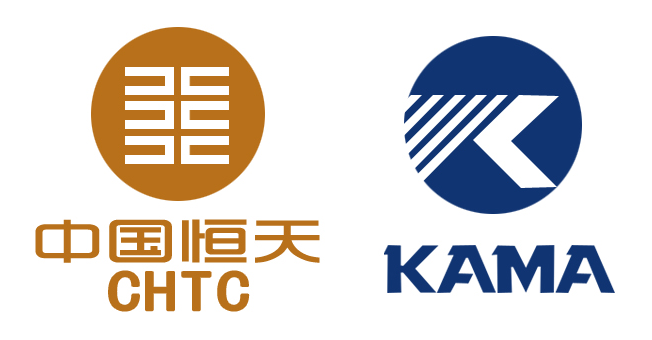 This conference will be the venue for energy storage and conversion technologies employing electrochemical methods, such as fuel cells, batteries, supercapacitors, electrolysis, and so on. The objective of this conference is to stimulate fundamental and applied research on electrochemical energy. It allows researchers, students and engineers gathering for fruitful discussions, and presentation of new results within the conference topics. 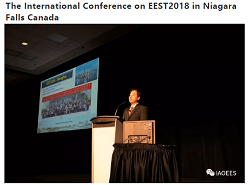 Please click HERE to download EEST2018 Brochure and come back to visit the EEST2018 website for more information later. Click HERE to go directly to Pay EEST2018 Registration Fee. 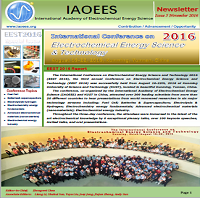 The International Conference on Electrochemical Energy Science and Technology (EEST2016) is the third conference organized by the International Academy of Electrochemical Energy Science (IAOEES). 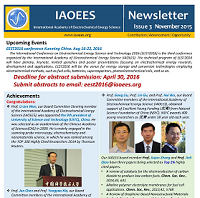 The meeting consists of plenary talks, invited keynote speeches and poster presentations focusing on electrochemical energy research, development and applications. This conference will be the venue for energy storage and conversion technologies employing electrochemical methods, such as fuel cells, batteries, supercapacitors, electrolysis, and so on. 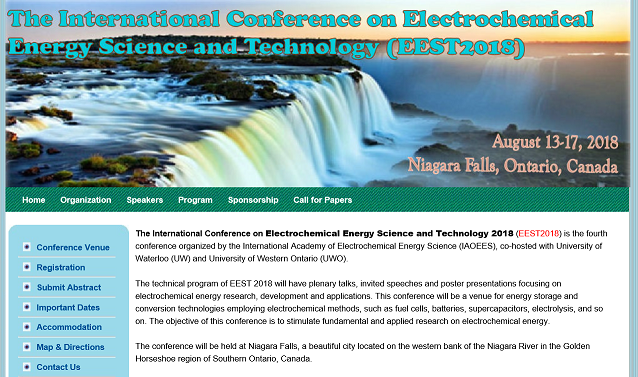 The objective of this conference is to stimulate fundamental and applied research on electrochemical energy. It allows researchers, students and engineers gathering for fruitful discussions, and presentation of new results within the conference topics. Click HERE to go directly to Pay EEST2016 Registration Fee. 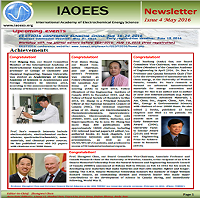 The International Conference on Electrochemical Energy Science and Technology (EEST2015) is the second conference organized by the International Academy of Electrochemical Energy Science (IAOEES). 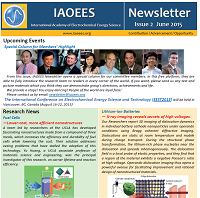 The meeting consists of plenary talks, invited keynote speeches and poster presentations focusing on electrochemical energy research, development and applications. 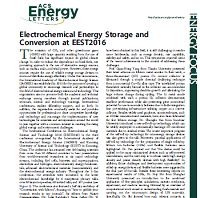 This conference will be the venue for energy storage and conversion technologies employing electrochemical methods, such as fuel cells, batteries, supercapacitors, electrolysis, and so on. The objective of this conference is to stimulate fundamental and applied research on electrochemical energy. It allows researchers, students and engineers gathering for fruitful discussions, and presentation of new results within the conference topics. 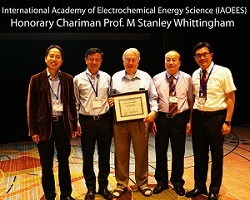 The International Conference on Electrochemical Energy Science and Technology (EEST2014) is the first conference organized by the International Academy of Electrochemical Energy Science. 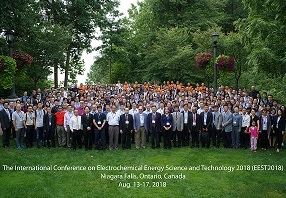 The meeting consists of plenary talks, invited keynote speeches and poster presentations focusing on electrochemical energy research, development and applications. 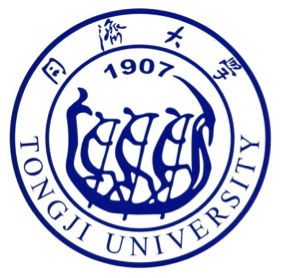 This conference will be the venue for energy storage and conversion technologies employing electrochemical methods, such as fuel cells, batteries, supercapacitors, electrolysis, and so on. 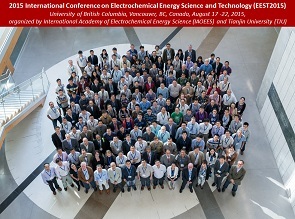 The objective of this conference is to stimulate fundamental and applied research on electrochemical energy. It allows researchers, students and engineers gathering for fruitful discussions, and presentation of new results within the conference topics.